Southern Voice, April 12, 1990. 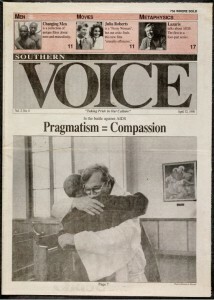 Southern Voice newspaper collection, 1988-1995, Kennesaw State University Archives. We are excited to announce the availability the Southern Voice newspaper collection, 1988-1995 thanks to our partners at Kennesaw State University (KSU) Archives. The Southern Voice newspaper, also known as SOVO, was an alternative news source for lesbians and gay men in the greater Atlanta area and Southeast for over 20 years. The paper was founded in 1988 by Christina Cash and Leigh VanderEls with a bi-weekly circulation of 5,000 copies. Southern Voice provided coverage of local and national events, editorials, and guides to local arts and entertainment. Circulation grew to 15,000 within two years, reaching a maximum readership of 100,000 during the 2000s. 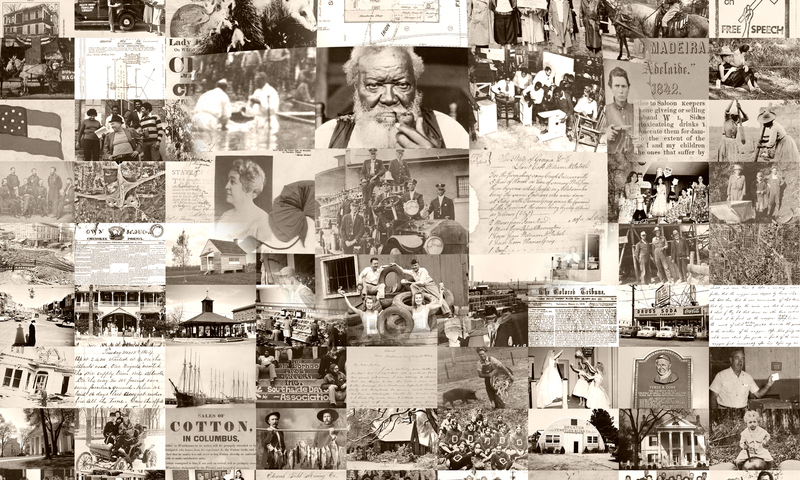 KSU Archives researchers have used the Southern Voice collection for exhibits, and class projects. Now, users of the Digital Library of Georgia and DPLA will be able to research local Georgia history, journalism, LGBT rights, and other issues. The KSU Archives is working to locate, preserve, and digitize a complete run of the paper. Although they acquired a significant number of Southern Voice issues from donor David McLaughlin, they are still seeking a number of issues. Oswald has worked with colleagues from Atlanta-area institutions to help fill in gaps in the collection; these partners include the Atlanta History Center, Georgia State University, and Emory University. If you, or anyone you know, may have held on to back issues of the Southern Voice, please contact the KSU Archives at archives@kennesaw.edu. For information on the specific issues the KSU Archives is missing, visit https://archives.kennesaw.edu/lgbtq-publications-collection. We hope that you enjoy this important new resource! Next PostNext National Clown Week!